Soft-serve; ice-cream floats; pineapple spears; juice. 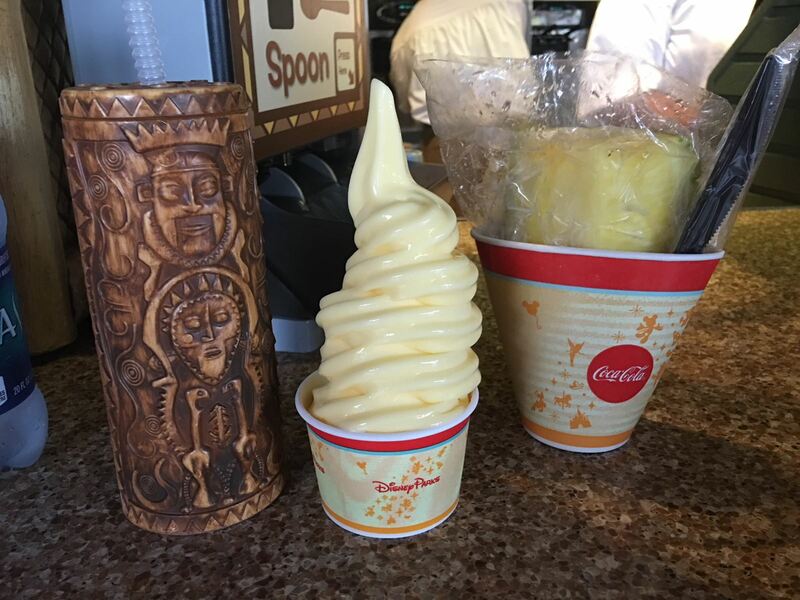 Located next door to Walt Disney’s Enchanted Tiki Room, the pineapple Dole Whip soft-serve is a world-famous Disney theme park treat. Soft-serve ice cream; ice-cream floats; fresh pineapple spears; chips; juice, bottled water, coffee, tea. Aloha Isle offers Mobile Ordering.